Made of special nylon filament impregnated with silicon carbide. 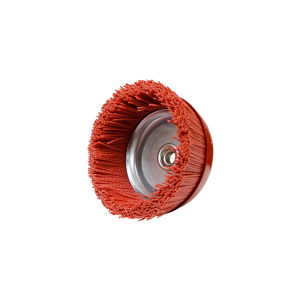 Uses include truck bed cleaning, polishing, deburring, scrubbing, surface brightening, surface refinishing, decorative finishing and more. Won’t react with metal and won’t load or clog.